A Private Tour for up to two people £495, or for three to six people £595. This tour is available from March to December. Click here to book this private tour now. We will collect you from your overnight accommodation at 8.00am. Please be aware that the Isle of Skye tour is longer than our other touring days. This is a 12 hour tour running from 8.00am to 8.00pm which transports you through 300 miles of some of Scotland’s most beautiful scenery. 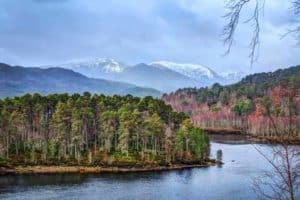 Loch Ness – you’ll begin your day with a drive along the beautiful and deep Loch Ness, which contains more water than all the lakes in England and Wales combined. This will include a viewpoint over the spectacular Urquhart Castle. 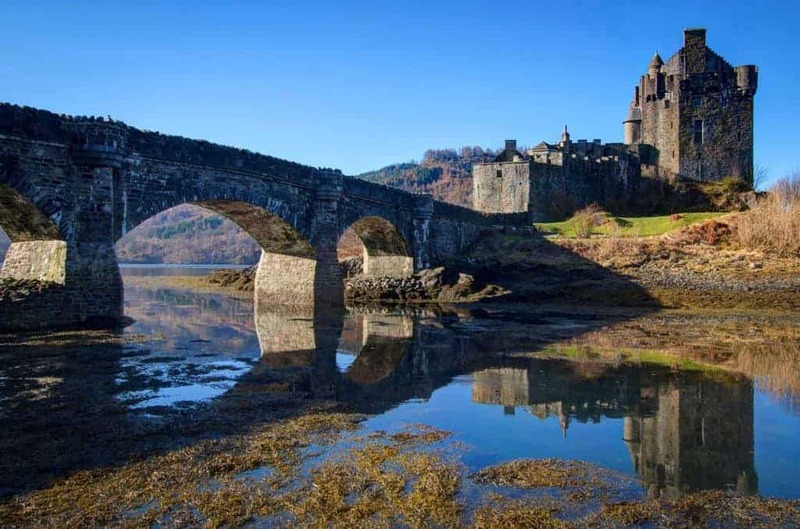 Eilean Donan Castle – you’ll be visiting this iconic castle which has to be one of the most famous in Scotland. Used as a filming location for many movies: ‘Highlander’, ‘Bonnie Prince Charlie’, ‘The Master of Ballantrae’, ‘The New Avengers’, ‘Loch Ness’ and ‘James Bond – The World is Not Enough’… its famous bridge and romantic turrets draw sightseers from all over the world. A visit here is a truly unforgettable experience. If you would like to tour inside the castle, we can shift the timings on the itinerary slightly to allow you to do so. Kyleachin – we’ll stop at this small village briefly for some beautiful views of the Skye Bridge. 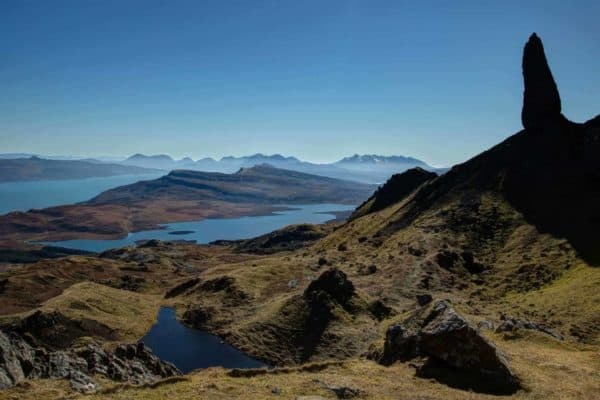 Cuillin Mountains – enjoy the spectacular and majestic mountain range as we begin our journey on the Isle of Skye. Portree – where you can enjoy a wander around this picturesque and colourful town. Kilt Rock and Mealt Falls descend 60m into the Sound of Raasay. On windy days it doesn’t even reach the bottom as it blows back up the cliff. The backdrop to the falls is a rock formation which looks strikingly similar to the pleats of a Scottish Kilt. You may even catch a rainbow there too. The Quiraing – this part of the Trotternish ridge is incredible! 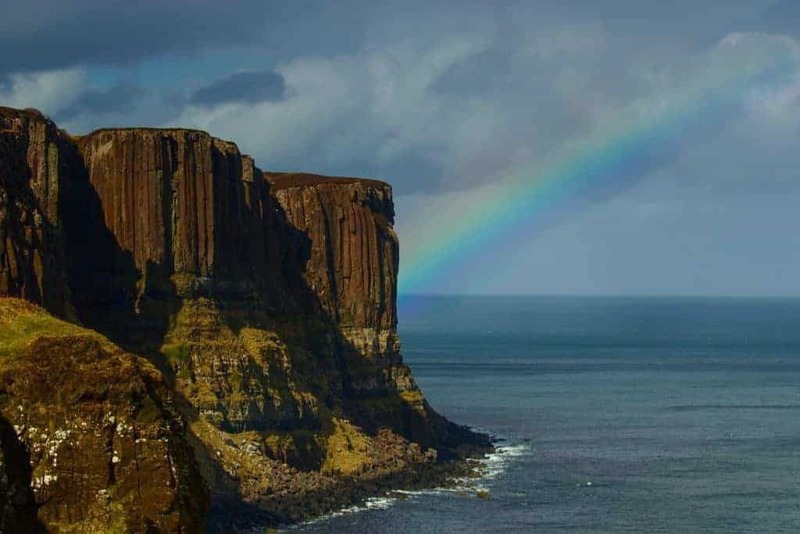 It was formed by a large landslip which created high cliffs, hidden plateaus and pinnacles of rock. This awe-inspiring landscape and has featured in films such as ‘The BFG’, ‘Macbeth’, ‘Stardust’, ‘The Land That Time Forgot’, ‘Snow White and the Huntsman’, ’47 Ronin’, ‘King Arthur: Legend of the Sword’, and ‘Transformers: The Last Knight’. The area features places including the famous rock pinnacle, The Needle, the hidden plateau of The Table, and The Prison, a natural rock formation that can look very much like a castle from certain angles. The Quiraing portion of the Trotternish landslip is still moving today! Skye Museum of Island Life – Step back in time to an old Highland village. The museum offers visitors a unique experience and a true insight into island life one hundred years ago (closed on a Sunday). Flora MacDonald’s Grave – it is said that Flora’s funeral in 1790 was attended by several thousand mourners, who between them drank 300 gallons of whisky. Tradition has it that she was buried in a shroud made from a bed-sheet in which Bonnie Prince Charlie had slept. 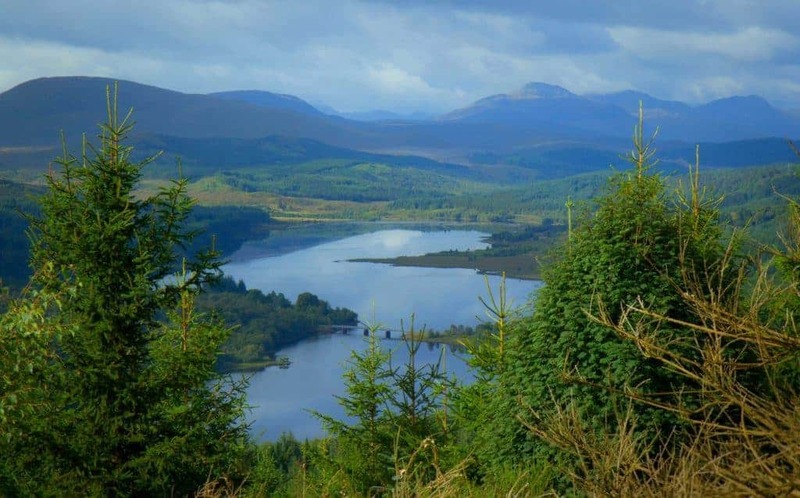 Another Viewpoint – enjoy the stunning vistas on this beautiful part of the drive as we head back towards Inverness, but on a different route. Fort Augustus – we’ll have a short stop at this picturesque Highland village on the southern tip of Loch Ness. In the early 17th century, the village became known by the name of the fort built by General Wade, Fort Augustus. While there, you’ll see the 5 locks that run through the River Oich and the impressive 60 mile long Caledonian Canal and lock system, built by Thomas Telford in the early 1800s. 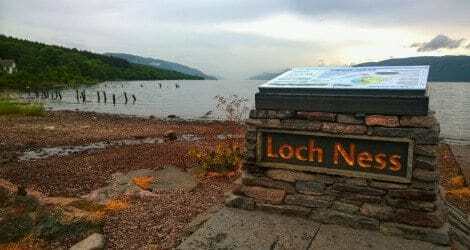 On route back to Inverness, except this time on the other side of Loch Ness. 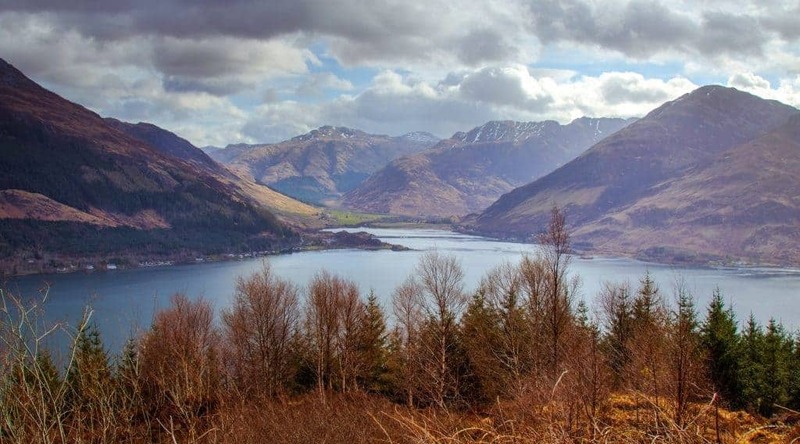 Be prepared for some more beautiful and expansive vistas and some remarkable and somewhat scary Highland history! Loch Ness… our final stop of the day will be at a small village on the banks of Loch Ness where you’ll have your photos taken by Andy at an iconic monument to the famous Loch. You’ll arrive back in Inverness at approximately 8.00pm. For a Gallery of our Isle of Skye photos, click here. Why are our tours so different? A Professional Photographic Album of Your Tour: Throughout the tour we will take professional quality photographs of you in each location (only with your permission of course), and we will e-mail you a complete photographic record of your tour within two weeks. 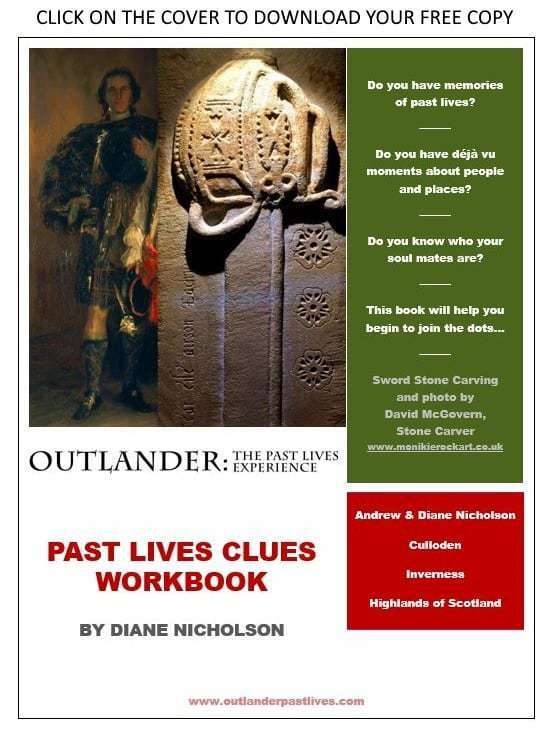 Here is a link to photos of recent Outlander clients who have kindly given us permission to share them. 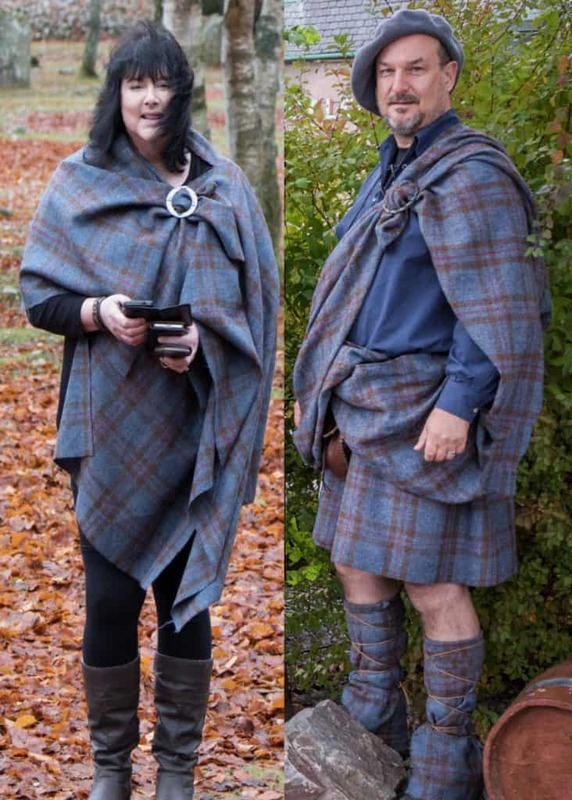 Two very passionate Tour Guides: We are Andrew and Diane Nicholson, husband and wife team, and we are passionate about this beautiful country, its remarkable history, and sharing it with you. Transport and Tour Guiding to the above locations either in our very comfortable all-wheel-drive, air-conditioned Subaru Outback (1-2 people) or our equally comfortable and air-conditioned Mercedes minibus (3-6 people). Collection from your hotel or B&B in the morning, and drop off at a location of your choice (within reasonable distance) at approximately 8.00pm. Professional quality photographic record of your complete tour. Not included: Your travel to Inverness, admission fees, meals and overnight accommodation are not included. There are low cost direct flights from many UK and overseas airports to here in Inverness. Meals are not included in your tour. We provide a large flask of hot water, along with coffee and a selection of teas in the car as light refreshments. We also provide a large cool bag and cold bottled water. As your Tour Guides, we will bring our own food and refreshments, leaving you free to decide whether you’d like to enjoy a sit-down lunch at one of the locations, or whether you’d like us to take you to a supermarket to purchase a packed lunch to eat later in the day. We will store your packed lunch in the large cool bag until required. You can let us know when we collect you which lunch option you’d prefer for the day, and we will be happy to accommodate you. The Visit Scotland website contains a superb listing of local accommodation, which you can access here. Select your date, book and pay for your private Isle of Skye One Day Tour from Inverness using the booking widget below. You are welcome to combine this tour with our other Tours. If you would like to then please either book and pay for them separately, or make an enquiry via the form on our Contact Us page – let us know how which tours you would like to book together and on what dates. We can then send you a single quotation and payment request by e-mail. A confirmation of your booking and your payment will be sent to you from us and from Stripe, our secure payment gateway. For more information about online booking and Stripe – click here for our FAQs page. Please also read our terms and conditions. By booking with us, you are agreeing to be bound by these terms and conditions. The person booking the tour (the lead person) does so on behalf of all the other individuals included on the booking, so that all are bound by the booking conditions. If you are booking well in advance and would prefer to pay a 20% deposit, then please send us an enquiry via the form on our Contact Us page. Sorry, our online booking system does not currently support the choice of either deposit or full payment – we are working to provide this option in the future. In this case, the remainder of your payment will be due 60 days prior to your touring dates. Similarly, if you prefer to pay by bank transfer, please contact us and we will forward our bank details on to you. Select your preferred date and options from the booking widget below, then click the NEXT button, then enter your personal details, credit/debit card details, then click the MAKE BOOKING button to submit your booking. Your tour can be simply booked within just a couple of minutes. If we’re online, you can chat with us live right now using the chat widget on the bottom right of your screen.